Meet the Ezgur’s, a family of five from Chicago, Illinois. Parents, Wendi and Michael, met during their freshman year of college at the University of Illinois and are celebrating their twentieth wedding anniversary later this year. They have three children, Aidan, Charlie and Rosie. Both Wendy and Michael are self-employed. In the early 1990s, Wendi founded an idea generation company, Leadhead, Inc., which develops innovative products and service concepts for a variety of clients including Kraft, Burger King and Pepsi. Michael is a real estate attorney with a real estate development company. When the recession threatened Michael’s company and the family’s financial well-being, Wendi determined to turn their financial misfortune into something positive. Wendi focused her innate creativity and ideation abilities on her family and invented the concept of a “family sabbatical.” She envisioned her family swapping homes or making a temporary home in Europe. 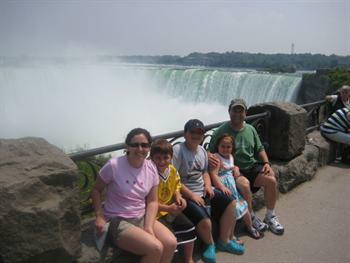 The plan for a five month road trip across the western United States hit Michael and Wendi during a twelve hour drive in the family minivan to visit family in New York for Thanksgiving in 2008. Michael and Wendi discussed the logistics of the trip and began the four month planning process leading up to their April 3, 2009 departure. This clearly wasn’t any ol’ family road trip. The Ezgur’s trademarked the phrase, “Family Off Track,” as the title of their five month adventure. They created a website and blogged about their experiences. Wendi, on sabbatical from Leadhead for the duration of the trip, took primary responsibility for organizing the family’s travel blog. Family and friends were able to follow the Ezgur’s progress and the five travelers welcomed the 15,000 hits to their website. Aidan, then 11 years old, focused on his creative writing and journalism skills and became the narrator of the trip. Six year old Rosie, an artist, was responsible for creating a picture power point presentation of the trip. At eight years old, Charlie monitored the family’s finances and budget. All three were also responsible for assisting in meal preparation and helping the family maintain a healthy diet on the road. The Ezgurs traveled south out of Chicago and continued south to Louisiana. When they hit the Gulf Coast, they drove west to the Pacific coast of the United States. Next, the family traveled north up the coast and, finally, back south and east to Chicago. 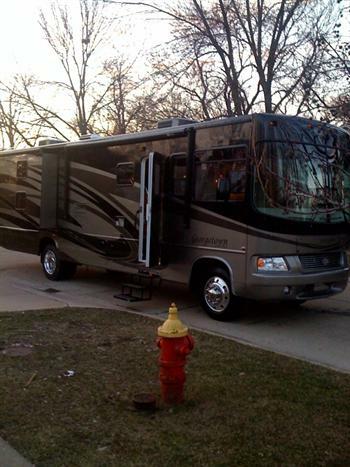 During the spring and summer of 2009, the Ezgur’s RV could be found in numerous national park grounds, Walmart parking lots, and even behind the Circus Circus hotel and casino on the Las Vegas strip. The Ezgur’s had several corporate sponsors or partners who assisted them financially or otherwise. In a blog post published on May 22, 2009, Wendi describes one sponsor’s contribution. Wearing Geico t-shirts, the Ezgur children organized special events at various campgrounds to advertise Geico’s RV insurance. 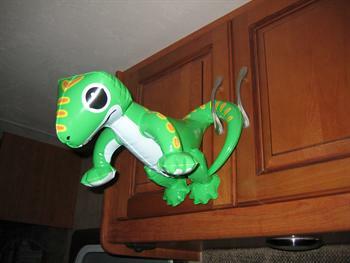 Along the way, Geico sponsored ice cream socials, a Mexican Fiesta night and a Wine and Cheese party. These corporate contributors only covered a portion of the expenses during the trip. Nevertheless, the trip was a cost savings for the family. They budgeted their food, gas and other expenses and saved on regular household expenses and summer camp tuition. In addition to the cost savings, the trip gave the Ezgurs the gifts of time and togetherness. The hectic schedule of everyday life in Illinois did not exist on the road. The five month hiatus also helped the family gain perspective on their financial struggles. The Ezgur family’s story exemplifies this blog’s themes – finding opportunity in misfortune and doing something you are passionate about. The Ezgurs are now back in Chicago. Wendi continues to build Leadhead, Inc. and Michael has reinvented himself and is focusing on commercial real estate development. Aidan, Charlie and Rosie are hard at work back in school. Wendi, Michael, Aidan, Charlie and Rosie – Thank you for sharing your experiences with us. Your strong sense of family and of adventure are an inspiration to all of us. 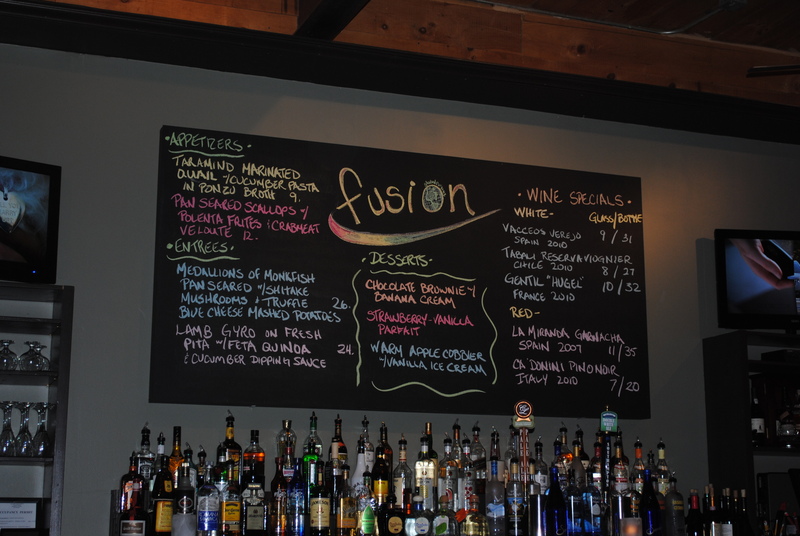 Meet Mark Crescenzo, General Manager and Host of Fusion Café and Wine Bar in Monroe, New York. 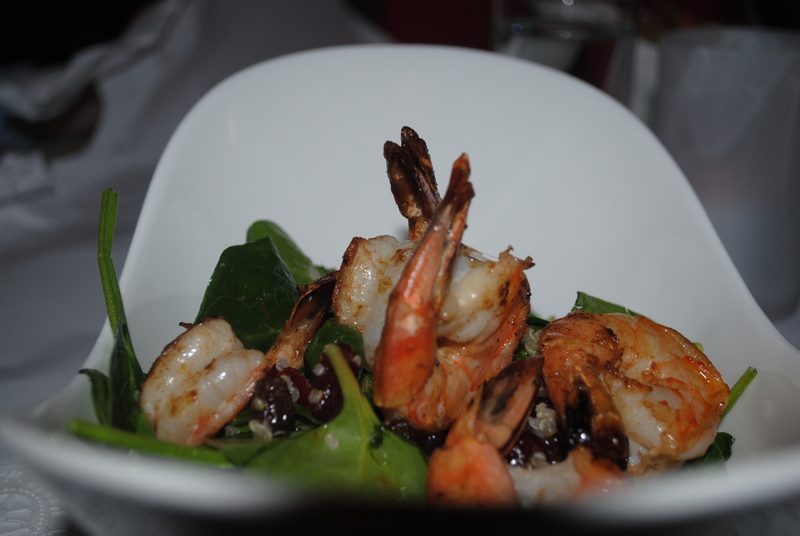 Opened in January of this year, the family-friendly restaurant offers high end and reasonably priced American cuisine featuring Latin and Asian influences. Mark’s career in restaurants began at the age of twelve when he was hired as a bus boy by Cranberries, a restaurant in his hometown of Stony Point, New York. Four years later, Mark walked into Lynch’s, another nearby restaurant, seeking a job. “Alice Lynch (the owner) handed me a Duke pad and told me to write down my name. A week later, she called me in, gave me an apron and the Duke pad, and elevated me to waiter.” Mark continued working in restaurants throughout high school and college. A restaurant has served as a backdrop for important events in Marks’ life. He met his future husband at The Hudson House in Nyack, New York. Their daughter was eight years old when the real estate market collapsed and Mark took a part-time job at Ravi, another local restaurant. This is where Mark and Kathy met. The collaboration to create Fusion began. Fusion is located on MillPond Parkway in Monroe. The 800 square foot restaurant has a 15 person bar and intimate tables seating an additional 46. The final result is a restaurant that feels urban despite its suburban location. “When you walk in, everyone says they feel like they are in Manhattan. It’s a very clean, very sleek environment.” It’s a very good fit for Monroe’s population, young and old, families and singles, many of whom commute to work in New York City. 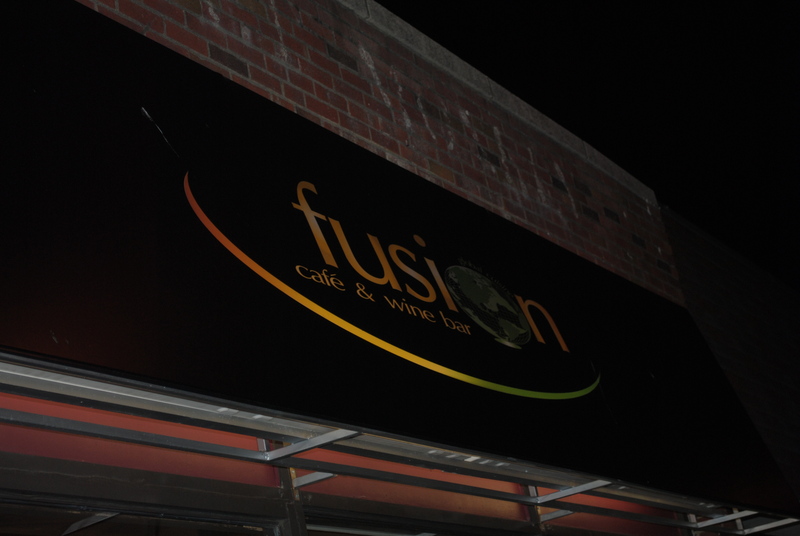 Fusion’s Grand Opening took place on January 27th and things have been busy. 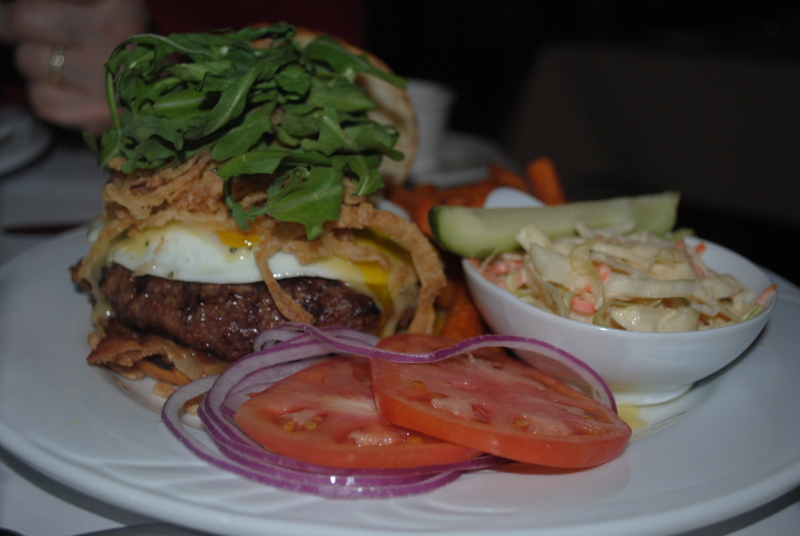 New customers as well as returning diners are contributing to the restaurant’s immediate success. The repeat business is encouraging to Mark. Sourtosweet had the opportunity to dine at Fusion. 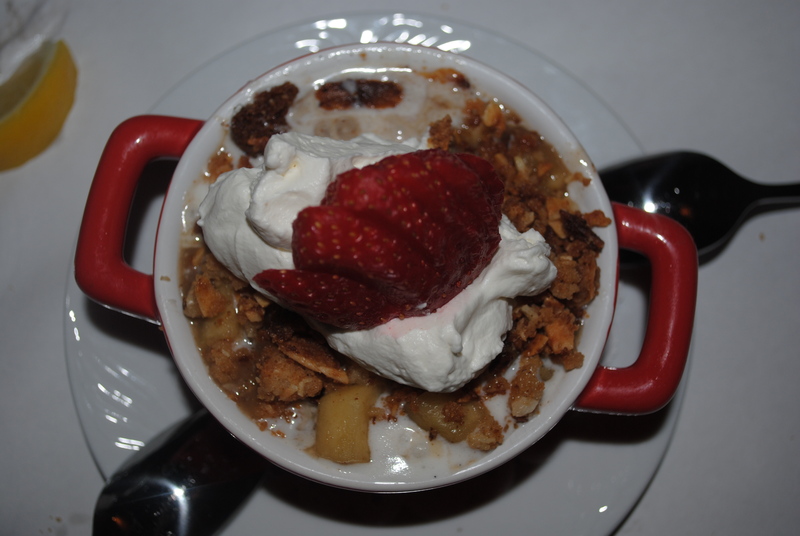 The cuisine is delicious and beautifully presented. The wait staff is friendly and professional. If you arrive for an early dinner around 5 or 5:30, you watch as the tables and bars slowly fill with smiling, relaxed and satisfied diners enjoying their evening – exactly as Kathy and Mark intended. To everyone involved in creating and operating Fusion, best wishes for continued success! 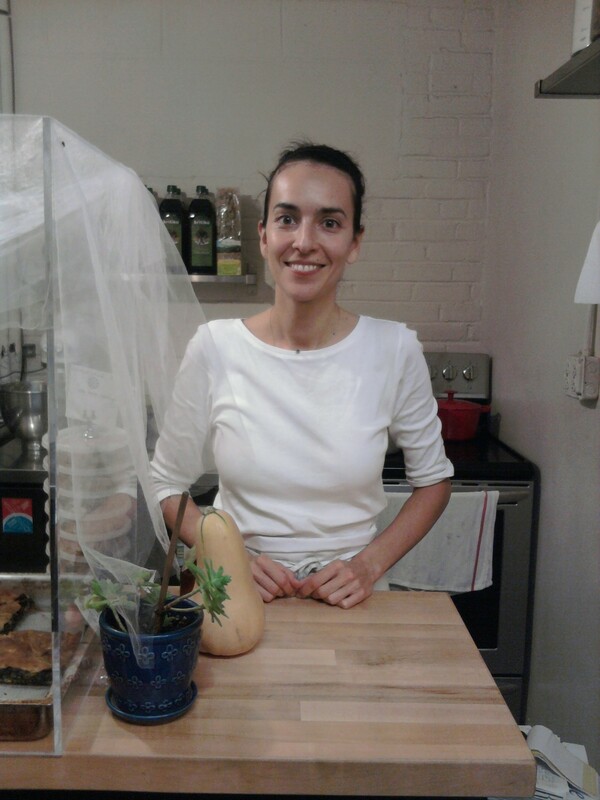 Meet Rona Economou, owner of Boubouki, a Greek food stall located in the Essex Street Market in New York City. 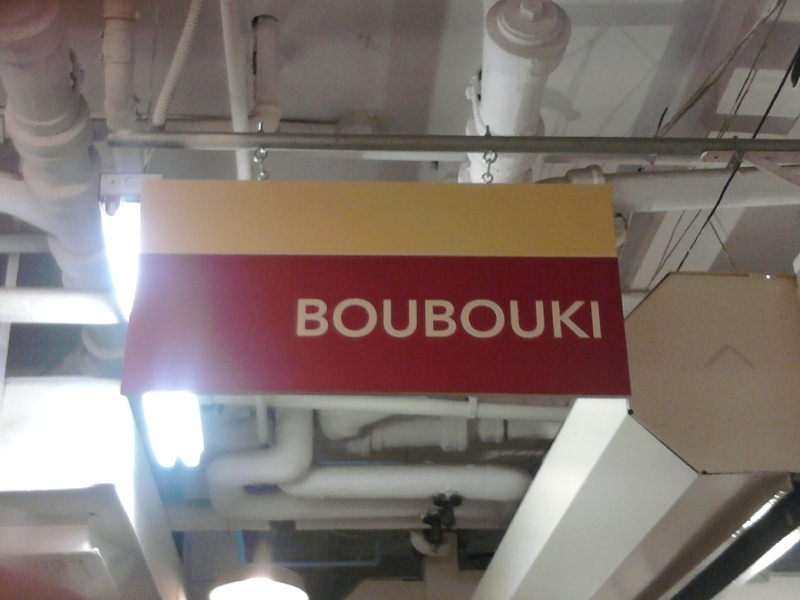 Boubouki is a Greek word. Translated into English, it means flowerbud. “I had another name in mind that sounded similar but, when I looked up LLC names it had already been taken. I like the sound and it actually fits. It’s a very sweet name. Flowerbud. Kind of like my business is blooming or flowering right now,” Rona explained. Rona did not anticipate becoming an entrepreneur and business owner. Her education focused on the law rather than business. In 2001, she graduated Fordham Law School after attending SUNY Binghamton for undergrad and began working as a litigator at a midtown law firm. As a consequence of the economic downturn, the firm initiated a large lay off in 2009 and Rona was one of many who found themselves suddenly unemployed. Rona grew up enjoying delicious, home-cooked food. “Cooking is something I have always enjoyed. I was surrounded by women on both sides of my family who are really excellent cooks. I grew up eating really delicious, fresh food.” Now she shares these delicious foods with Boubouki’s customers. From Tuesday to Sunday, Rona arrives at her 7 by 7 foot stall at around 7:30 in the morning and begins cooking. Although Boubouki’s hours are not set in stone, Boubouki generally starts serving its customers at 10am and remains open until 6:30pm. 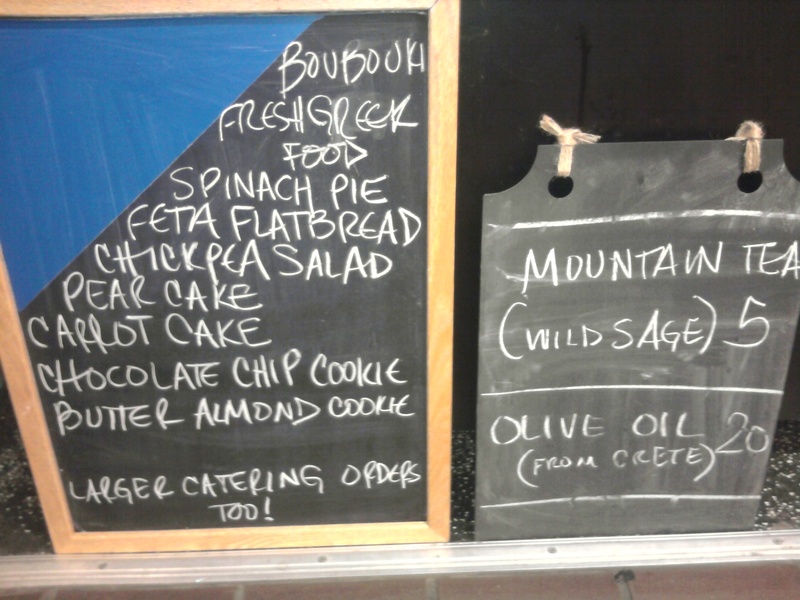 On the menu, spinach pie, a chickpea salad and feta flat bread, butter almond cookies, chocolate chip cookies, carrot cake and pear cake. Boubouki also offers baklava on the weekends. Each item is priced somewhere between two and four dollars. Isolation is not a problem at Boubouki. Although Rona is the small company’s sole employee, the hustle and bustle of the Essex Street Market offers a sense of community. In addition, since its opening in August of 2010, Boubouki has attracted regulars who stop by the stall to talk with Rona and purchase their selections for the day. When asked about her plans for Boubouki’s future, Rona responded “I have no idea.” Right now, she is focused on enjoying each day as it comes. She’s happy to come to work every day and is enjoying Boubouki’s success. Sourtosweet was lucky enough to visit Rona at Boubouki around lunchtime on a weekday. The smells of the market itself, and in particular Boubouki’s offerings, were irresistible. 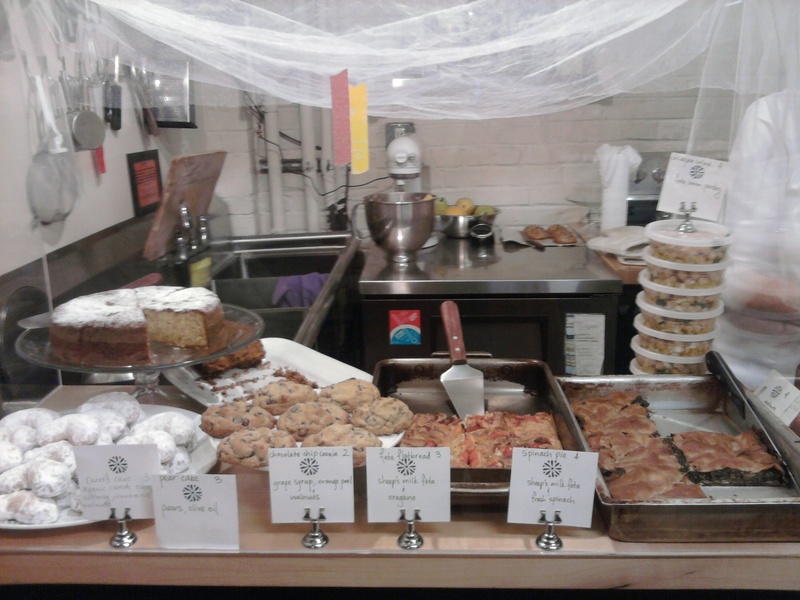 Unable to select just one item, sourtosweet sampled the pear cake, the chocolate chip cookie and the feta flat bread – all wonderful. Rona, best wishes for continued happiness and success! Meet Christa Avampato, a renaissance woman who, most recently, founded her own not-for-profit organization named Compass Yoga. Compass Yoga is an organization dedicated to promoting the therapeutic healing powers of yoga for individuals with specific healthcare needs. She worked through college at the University of Pennsylvania and, upon graduation, was employed in the theatre industry for several years. She left the theatre industry to pursue not-for-profit fundraising and then returned to school in pursuit of her MBA at the Darden Graduate School of Business at the University of Virginia. Although she intended to return to not-for-profit work after graduate school, Christa moved from Virginia to New York to be near a sick family member and soon realized that salaries in the not-for-profit world were insufficient to support life in New York. She found employment in new product development at a large company. Christa pitched an idea for a column about entrepreneurship to Examiner.com. She wanted to interview successful entrepreneurs and gain courage and confidence from their stories. Over the course of 15 months in 2009 and 2010, she interviewed over one hundred entrepreneurs. Christa turned twenty-seven of these interviews into a book entitled Hope in Progress: 27 Entrepreneurs Who Inspired Me During the Great Recession. Hope in Progress is available online and through Kindle. Now that Christa had the courage and determination, she needed her idea. Compass Yoga became the focus of Christa’s newfound entrepreneuring spirit. She always had a passion for teaching and had developed a passion for yoga as well. These dual passions prompted her to train as a yoga instructor. As she progressed through training, she discovered that the traditional studio business model for yoga left much to be desired. “It seemed ridiculous to me that there wasn’t a way for yoga teachers to make a living wage. With my business, finance and yoga background, there had to be a better way to get paid to do this.” Christa determined to find a way to make yoga financially viable. Christa’s training inspired a strong belief in the healing powers of yoga. “The more I saw articles in The Times about people struggling with diabetes and heart diseases – I knew yoga and meditation could help with that. Wow! There is a lot of opportunity there.” An advocate for the healing power of yoga and meditation, and recognizing the weaknesses in our current healthcare system, Christa envisions a way to blend yoga and meditation with western medicine to offer preventative, holistic medical care. The unique skill set developed during Christa’s eclectic employment history, her education, her passions, her front row seat to the recession, all contributed to the May 2010 founding of Compass Yoga. Christa gathered and diverse collection of colleagues and friends to form a Board of Directors, all believing in the power of people healing themselves through alternative methods. Approximately one and a half years after its founding, Compass Yoga will soon have 501(c)(3) status. Once its status is established, it will begin fundraising efforts targeting the public and private sectors. Christa currently teaches yoga classes at Compass Yoga, as well as, hospitals, universities and other institutions in New York City. Compass Yoga is already serving the needs of populations facing specific healthcare challenges, including veterans of the Iraq and Afghanistan wars. Although Christa continues to work full-time, she plans for Compass Yoga to become her full time job. Christa is proud of her accomplishments and happy to tell her story. 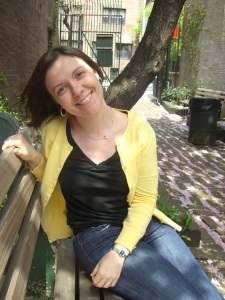 In addition to the Examiner.com article and other freelance writing projects, she maintains an inspirational blog called Christa in New York. Sourtosweet is very excited that Christa has agreed to contribute a post here. Stay tuned next week for an original Christa Avampato post designed to inspire. In the meantime, Christa, best wishes on continued career satisfaction and success! Meet Andy Owen, owner of Owen Video. Owen Video specializes in creating unique and beautiful wedding videos for its clients. Andy is married to his wife, Chandra, and is a stay-at-home father to their two children. From 2005 to 2008, Andy was the multimedia support technician for a Michigan school district. He maintained the district’s interactive video equipment and supervised the district’s video studio. He also taught teachers how to use the equipment. “I loved it,” Andy admits. But “in 2007 the writing was on the wall in the State of Michigan that education financing was going down the tubes.” Although administrators in Andy’s district tried to preserve his job, the district ultimately laid Andy off in June of 2008. Because Andy had prior warning of his impending job loss, he was able to get a head start on the job search process. In fact, he had twelve job interviews in the spring and summer of 2008. In three of those twelve interviews, Andy returned for both a second and third round. He remembers that one of the jobs was a part-time position paying “a whopping” ten dollars an hour. None of these opportunities resulted in employment in the form that Andy was seeking. Instead, these job interviews prompted him to strike out on his own. Andy admits he is a reluctant entrepreneur. “I was dragged kicking and screaming into being my own boss. I was quite happy working for someone else.” In fact, the first videos created by Owen Video were corporate videos, not wedding videos. His first client was a local construction company – one of the twelve companies that interviewed him in 2008. “They loved me but I wasn’t ready for the job. They asked if I was doing freelance video because they had a budget for that . . . . I offered them a bid for this project and they thought it was a steal considering other bids. They started using me a lot because I was underbidding the competition. I had zero business experience – I never knew what to charge.” Andy worked on corporate videos for the balance of 2008. 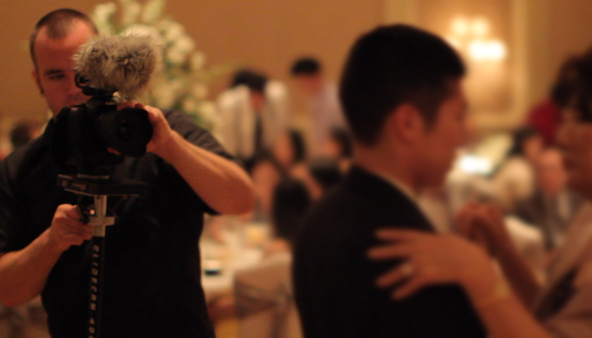 In 2009, Andy was persuaded to pursue wedding videography. This was not Andy’s first foray into wedding videos, but prior to 2009, he admits, “I hated it.” But, in 2009, Andy received inspiration and encouragement from a Nashville wedding videographer. Eugene, the Nashville videographer, infused interesting and beautiful cinematic effects into his videos and this inspired Andy. Andy explains, “I realized there was untapped potential for weddings to be creative.” This was his turning point. Advertising through craigslist, he booked seven weddings in 2009. In 2010, Andy was fully booked for the year by April. Owen Video now has its own website and facebook page featuring some of Andy’s work. However, Andy finds that most business comes from referrals by other wedding vendors. The occasional assistance from friends and family has helped Andy achieve his current level of success. Andy’s mother-in-law watches their three year old daughter and five month old son on Tuesdays so Andy can squeeze in some weekday business. When Andy first started shooting videos, his equipment was loaned from a former colleague. Andy improved his videography skills with the constructive criticism of friends like Eugene and a Lansing photographer named Jason Aten. Although Andy is the primary employee and videographer for Owen Video, he also has assistance from time to time from family and friends who he introduces on his website.